Kitchen renovations in Northern Virginia are among some of the most popular projects. Homeowners want to create beautiful kitchens that serve their functional needs and boost their home equity. If you’re renovating your kitchen, one aspect of your project you may be considering is to build a counter island. Kitchen islands are unique, elegant additions to just about any kitchen. Your island can match your other countertop material for a beautiful and seamless look. Your island may even serve as the focal point of the entire kitchen, making it not only appealing for you, but for guests as well. Most kitchen layouts and styles can easily incorporate an island into their design without making the kitchen feel too cramped. Trying to cook family meals with a small or cramped kitchen can be frustrating, especially if more than one person is making food at the same time. Installing a counter island is a great solution for bumping elbows. The extra counter space gives you more room for food preparation and cooking, which is invaluable for passionate chefs or big families. Make an island part of your kitchen renovation and never deal with inadequate cooking space again! Give your family some dining space right in your kitchen with a counter island! Line some stools or tall chairs up next to your island to create the perfect extra dining area. The island is ideal for breakfast or a quick snack, or for guests to enjoy appetizers at your dinner party. Family members and guests can also sit at your island to socialize together in the kitchen while sharing great food. More counter space means more room for storage! Build a drawer or cabinet into your island for storage space or keep items on top of the island. Use your kitchen island to organize your spices or store your extra paper towel rolls. You can even place an appliance (or a few) on your kitchen island. More and more homes are using a kitchen island for a countertop sink to dedicate the rest of the counters to cooking space. Or, some islands feature a microwave, oven, or stovetop for extra functionality in a convenient place. There is no limit to how you can arrange your appliances or use your island for extra storage. Kitchen islands give you a variety of benefits, from convenience while cooking and dining to great aesthetics. 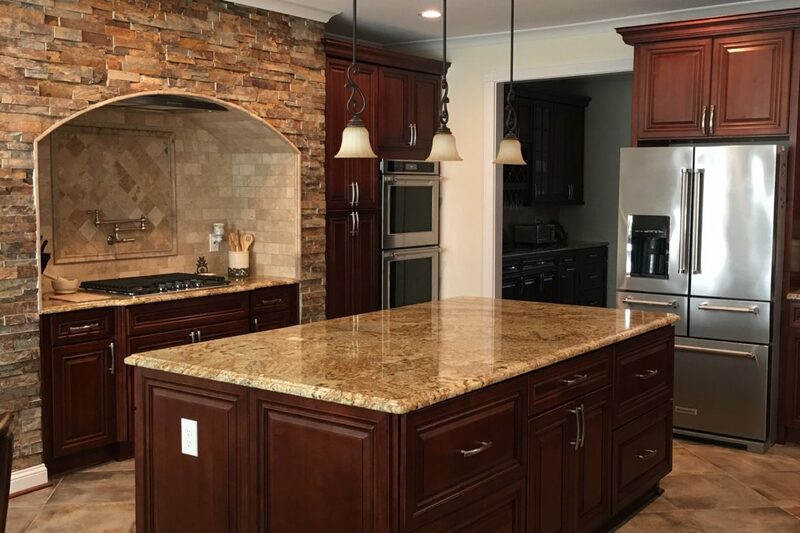 If you want to upgrade your kitchen with a counter island, contact Craft Master Home Design for kitchen renovation in Northern Virginia. We are dedicated to helping you build the home of your dreams with superior customer service and unparalleled quality work. Let us help you create a kitchen you’ll love with Northern Virginia kitchen renovation. Give your kitchen a beautiful and functional counter island. To learn more about our kitchen renovation services in Northern Virginia, call us today at (703) 209-5828!